Pro-cannabis legislative reform has advanced in a number of states in 2018, with major business developments occurring in Florida, Pennsylvania, New Jersey and other markets. The legislative changes and resulting program expansions could potentially boost medical marijuana sales by tens of millions of dollars a year, providing a shot in the arm to MMJ retailers, cultivators and ancillary businesses in those states. Oklahoma is among the wild cards, however, given that voters recently approved an open-market medical marijuana program that ultimately could generate $100 million-$150 million in annual sales. Emergency rules will meet the initiative’s requirement to get the program off the ground, but lawmakers are expected to pass legislation next year to implement permanent regulations. State regulators and Gov. Mary Fallin recently took steps to curb the program before backing off in the face of widespread opposition. Illinois also is an open question. Lawmakers approved a bill to establish a pilot program that would authorize individuals to use medical marijuana as an alternative to opioids, potentially opening a major new customer pool for MMJ sales. But it’s unclear whether Republican Gov. Bruce Rauner, who has been reluctant to embrace MMJ expansion in the past, will sign the legislation. Below is a wrap-up of some of some of the most noteworthy state developments, taking into account actions by legislatures and administrations so far this year (the list doesn’t include Oklahoma’s MMJ voter initiative or developments in California). Sales projections are from the Marijuana Business Factbook 2018. 1. Florida: Adding medical marijuana licenses. Details: The state announced it is adding four vertically integrated licenses. Florida also granted a license to a business that won a decision challenging the scoring process. The two developments will expand the number of MMJ licenses from 13 to 18.
Business opportunities: The state is expecting a deluge of applications for the new licenses, made lucrative by the rapid growth of the patient base. But some experts expect the new licenses to be issued through litigation. Overall, Florida’s MMJ market is expected to reach $175 million-$235 million in sales this year. What’s next: A potentially big development could be the sale of smokable marijuana, which is currently banned by the state. A county circuit court judge ruled that it was unconstitutional to ban smokable cannabis, but the legal process is continuing. 2. Louisiana: Expanded MMJ qualifying conditions. Details: A new law added chronic pain, post-traumatic stress disorder and autism as qualifying conditions for MMJ. Business opportunities: Experts say expanding qualifying conditions should make the market more viable, although concerns remain over physician interest and a current limit of nine dispensaries statewide. What’s next: The program is expected to launch late this year. 3. Maine: Overrode a governor veto to implement an adult-use marijuana industry. Details: Marijuana businesses can operate only in municipalities that have enacted an ordinance allowing such activity. Business opportunities: Rec MJ, when it comes online in 2019, should provide a welcome boost to a market that has seen MMJ sales decline. What’s next: The rec MJ industry is expected to launch in late 2019. Separately, Maine enacted MMJ reform legislation that will increase the number of dispensaries, allow doctors to recommend medical marijuana for any condition and allow caregivers to open storefronts. These reforms are expected to boost sales, but it’s unclear what will happen after the rec MJ market launches. 4. Michigan: Expanded MMJ qualifying conditions. Details: Regulators added 11 qualifying conditions, including arthritis and a more relaxed definition of chronic pain. Business opportunities: Chronic pain already accounts for more than 90% of Michigan’s MMJ patients, so the expansion may not have a large impact on a market already projected to generate $325 million-$425 million in sales this year. What’s next: Voters will decide in November whether to legalize recreational marijuana. A recent poll points to a close vote. 5. New Jersey: Expanded MMJ qualifying conditions, plans to double the number of licenses. Details: New Gov. Phil Murphy added qualifying conditions to the MMJ program, including chronic pain. His administration also announced plans to double the number of vertically integrated licenses from six to 12.
Business opportunities: Sales are projected to increase about 50% from an estimated $20 million-$25 million in 2017 to $30 million-$35 million. What’s next: Legislation to legalize recreational marijuana stalled amid a budget crisis but has a good opportunity of passing later this year. 6. New York: Approved MMJ as an alternative to opioids. Details: The state announced the emergency rule in July, effective immediately. Business opportunities: The move is expected to boost sales in the restricted market. Before the announcement, sales were projected to reach $50 million-$70 million this year, up from an estimated $20 million-$40 million in 2017. What’s next: A state-commissioned study is calling for legalization of recreational marijuana. 7. Pennsylvania: Expanded medical marijuana uses and patient conditions. Details: Smokable flower is being permitted, as well as allowing medical marijuana to be used for patients suffering from opiate addiction. The definition of pain also was relaxed. 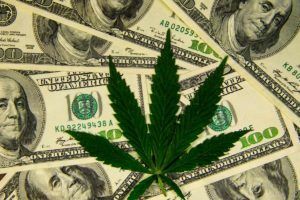 Business opportunities: These additions should buoy an MMJ market projected to reach $50 million-$80 million in 2018. What’s next: The MMJ market has had a slow rollout, but sales are expected to accelerate. 8. Vermont: Legalized home cultivation and possession of marijuana, becoming the first state to make adult-use MJ legal through the state legislative process. Details: Adults are allowed to possess up to an ounce of marijuana and cultivate up to two mature and four immature plants. Business opportunities: For the time being, opportunities are limited to home-grow supplies and consulting services. The in-state market is estimated at 70,000-80,000 users. What’s next: The state established a commission to make recommendations regarding a taxation and regulation system for full-fledged marijuana cultivation and sales. That could result in legislation in 2019. When in Florida? Bureaucratic stupidity!!! !